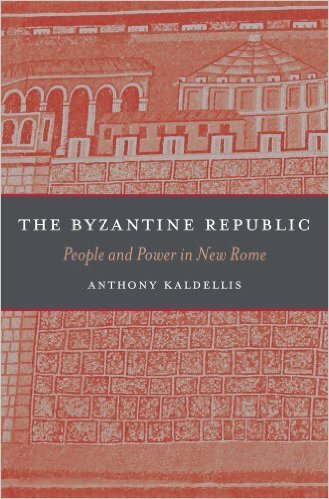 An interview with Professor Anthony Kaldellis about his book “The Byzantine Republic.” It’s a fascinating discussion about Byzantine political culture. He explores what the Romans really thought about their government and what all those rebellions really say about them. Thanks for engaging Professor Kaldellis–though I’ll have to say that academes can be tediously thorough and cautious, tentatively stepping forward only an inch at a time, apparently looking constantly about, worried that some other academe will pounce with a picky challenge. I sensed you prodding about, trying to get him to specify more about just what WAS motivating Romans (old and new) in their own minds to embrace or dump their emperors. We heard how important res publica was for framing people’s rationale, but he didn’t talk about what the “res” was. In listening to your podcast, I’d presumed that people saw the hands of the gods, and then later the hand of the Christian God, in everything, and that the people of Constantinople, therefore, would be justifying their displeasure with Emperor X based on the latest heavenly indication of how God was feeling: the army had lost a battle, a plague of some sort had come about, some new disruptive tribe had intruded, a drought had ensued, corruption and malfeasance (perhaps as manifested in a tax increase) in and around the emperor had become evident, and so on. The “res,” in other words, was the individually and collectively doing of God’s will, the proof of which was the prosperity and happiness of the polis. I also though your point was well-taken: Constantinople, unlike Rome, was run more by the populace than by armies because of the sea and the massive, impregnable walls that endured until gun powder. This is a great series, and I so enjoy your presentations! I have not yet listened to this episode, but I wanted to tell you I’m really appreciating this podcast so far. I’m a history student now mastering on the Roman empire and its impact on the medieval world, but unfortunately the Byzantine history is mostly ignored in our course. Your fine work is really helping me to fill in the blanks. So thank you for your excellent podcast! I enjoyed this one greatly. 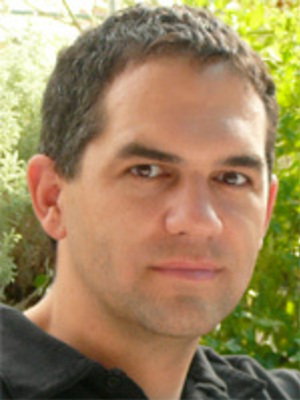 Professor Kaidellis offered a unique take on the scope and shape of the mechanisms that conferred legitimacy on a Byzantine emperor (or empress). Well done! Secondly, with respect to the rate of reelection (a point on which he is numerically correct), it is important to note that the rate at which incumbents *who seek reelection* are reelected is not a complete representation of the security of an incumbent in office. One factor overlooked by this statistic is the small but non-trivial number of incumbents who do not seek re-election precisely because they expect to a high chance of losing reelection. They retire from public life rather than facing a humiliating election. A common euphemism for this behavior, directly from the mouth of politicians who engage in it, is choosing “to spend more time with my family.” This is a face-saving statement that is usually translated with little difficulty to its true meaning (“I’m going to lose next election”) by political commentators who can assess the circumstances on the ground. This behavior is most common when politicians anticipate a “wave election” in which popular sentiment decisively swings against the party to which the politician in question belongs. A much better measure of the safety of an incumbent’s seat and the competitiveness of American elections generally is how often offices switch party control, regardless of the circumstances of the incumbent. For example, in 2010, 66 seats in the House of Representatives switched party control (for a Republican net gain of 63)(https://en.wikipedia.org/wiki/United_States_House_of_Representatives_elections,_2010). This is 15% of the 435 seats. In the Senate, 6 of 37 seats up for reelection changed party control (https://en.wikipedia.org/wiki/United_States_Senate_elections,_2010), or 16%. Separate from changes in party control, there are always a few cases where an incumbent loses renomination by his party to run in the general election. These are increasingly common in the Republican Party, most shockingly when the 2nd most powerful Republican party leader in the House of Representatives lost his renomination election in 2014. This rarely results in a change of party control, as these kinds of intraparty fights tend only to occur in seriously uncompetitive districts that favor one party over another. 2010 was, of course, an exception to the rule in that there was a large and decisive swing from one party to another (from Democrats to Republicans, in this case). And yet the magnitude of even that swing is still quite small. In general, most elections result in very few defeats for incumbents and very few seats change party control, so Professor Kaldelli’s characterization of the American Congress as an oligarchy seems reasonable from that perspective, and changes of a mere 15% are only trivially larger than changes of 5 to 10%. (a) Voters hold very persistent political preferences – they persist over periods of time much longer than 2 years. (b) Voters are geographically located (for various conscious and subconscious reasons) in such a manner that people with similar opinions tend to live in close to each other. (c) Modern American political incumbents are really good at exploiting A&B by voting on bills and making policy statements that align closely with the political preferences of the districts they represent in such a way as to be consistently reelected. This behavior in C includes taking money from interest groups who seek to benefit from how the politician votes, and using that money to buy advertisements, which presumably most everyone hates and ignores but somehow “money buys elections” anyways. Sure, money buys elections in American politics, but only to the extent that voters are actually influenced by political advertisements. That extent is tiny. Political campaigns are so expensive precisely because political advertisements are so ineffective, moving the minds of only the least attentive and least ideologically committed of voters. But in close elections, in districts without strong leans toward one party or another, a change in a few percentage points is all you need to win in a first-past-the-post electoral system. Full disclosure: I am an American. My only qualification to make this comment is a bachelor’s degree in political science. I obviously have a bias toward defending the honor of American democracy. To be clear, I’m not satisfied with it in many ways, including the slavish obsession of politicians with fundraising from special interests in order to finance their political campaigns, and the fact that only the rich can afford to take time off from their busy lives to actually participate in running for and holding political office. But it is not an oligarchy or a plutocracy in the same sense that the Roman Senate was an oligarchy and plutocracy, whereby Senate membership was *literally* determined by the Censor’s accounting of one’s wealth. American elections do genuinely reflect whom voters want in office. Conservative districts elect Republican candidates who generally vote for conservative policies and liberal districts elect Democratic candidates who generally vote for liberal policies. This fact is still a regular feature of American politics. Sure, not every vote of the Congress reflects the preferences of the majority of Americans’ – yes many terrible laws are on the books thanks to the undue influence of special interests – but America is not a direct democracy. Again, I really enjoyed the interview overall and mean no disrespect to Professor Kaldellis by this comment. I may be placing his book on my wish list to Santa Claus. Thanks for arranging this, Robin! For those of you who live in the DC area or will be luckily passing through on March 3, 2016, Anthony Kaldellis will be giving a lecture on the role of Hellenistic art in the Byzantine Era. It’s not on his book discussed in the podcast, but worth checkinout nonetheless. 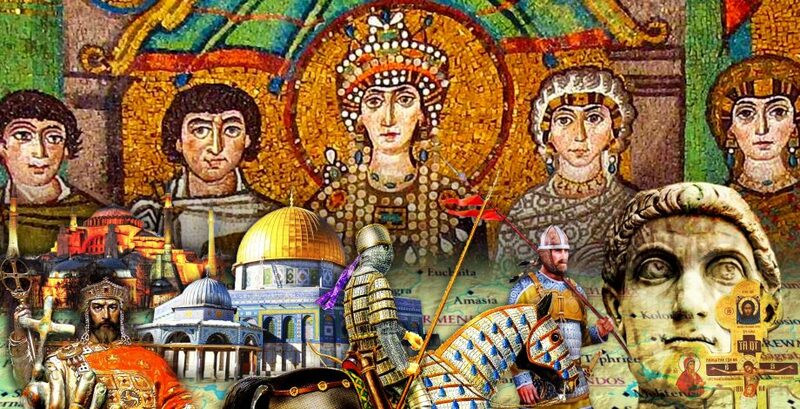 Is the subject of Byzantium so infrequently studied that there remain many brilliant, but easy to understand, insights that no one has come up with yet? This is a fascinating episode. An English word that captures the Roman meaning of res publica is commonwealth. This was in fact the word used by many 16th- and 17th-century writers and translators, Hobbes not the least of them. So… what you’re saying is… supreme executive power does indeed derive from a mandate from the masses?